Break goals down into small enough, manageable bits so that you can achieve them. Not the next door neighbour, not the girl in the magazine … but you. Unattainable goals lead to disappointment. Be smart, set SMART Goals. Consider the fact that genes play a big role in the way we look. Most of us aren’t built like the supermodels on the cover of Cosmo. They spend their whole lives dedicated to staying slim, and the picture has been airbrushed. Losing 1-2 kg per week, depending on how much you have to lose, is safe and healthy. Time is a very important factor in the goal setting equation. Apply a realistic, attainable timeline to reach your goals. It’s realistic and safe to lose 1-2lbs per week and 2-4% body fat per month. Losing more is unhealthy and will result in losing muscle tissue. NOTE: Use your Common Sense: If you lose 10kg in a week you will do yourself an injury and probably put it back on again very quickly because you have put your body into famine crisis mode and you will lose muscle, not fat. specific and difficult goals led to better task performance than vague or easy goals. Challenge, level of task difficulty. Clear: Be explicit about what you need to do, i.e. what action. Detailed: Give attention to detail with specific numbers, dates, and times. Challenging: Our need for success and achievement is strong. The tougher the goal, the more exciting it is. Reviewed: Targets and checkpoints give us the chance to see how we are doing. If Goals that are going to take a long time to complete, break them down into smaller, more manageable chunks, with more frequent check points. Review what you have achieved and adjust timeframes and goals where necessary. Complex: A good measure is that it must be 20% out of your comfort zone. Commitment: Develop your own goals. If you set the goal you are more likely to stick to it. Goal commitment and difficulty usually work together. The harder the goal, the more commitment is required.Constructive feedback could put you on the fast track. Feedback: Feedback helps put things in perspective if it is done with compassion, respect and insightNOTE: A goal that is too complicated, difficult and/or complex means you will probably fail and it may be more de-motivating than setting a goal that is too easy. to ensure that their goals are consistent with the overall vision and purpose that your company seeks. Goals must be understood and agreed upon if they are to be effective. Employees are more likely to “buy into” a goal if they feel they were part of creating that goal. Link feedback to the intermediate milestones. practice and/or learn what is expected and required for success. 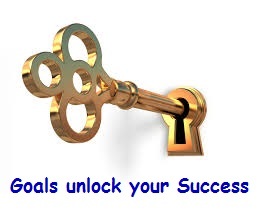 The whole point of goal setting is to facilitate success. Make sure the conditions surrounding the goals don’t frustrate or prevent people from reaching their objectives. 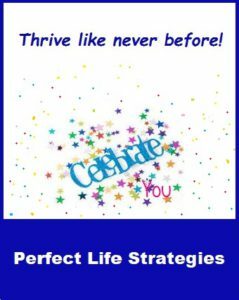 This supports the “Attainable” part of SMARTYou are either moving towards your goals, or you’re moving away from them. If you do nothing or act without clarity, you are almost certainly spending your time working on other people’s goals without even knowing it. Enjoy the satisfaction in having achieved your goal. Observe the progress you have made. Acknowledge and reward yourself. If the goal took too long, make the next goals a little easier or break it up into smaller (mini)goals, or chunks. If you noticed you need a new skill, decide whether to set a goal to fix this. Failure is just another way not to do things. Learn from it. Look back and feed lessons learned back into your goal-setting plan and your life.Smarter than the rest?